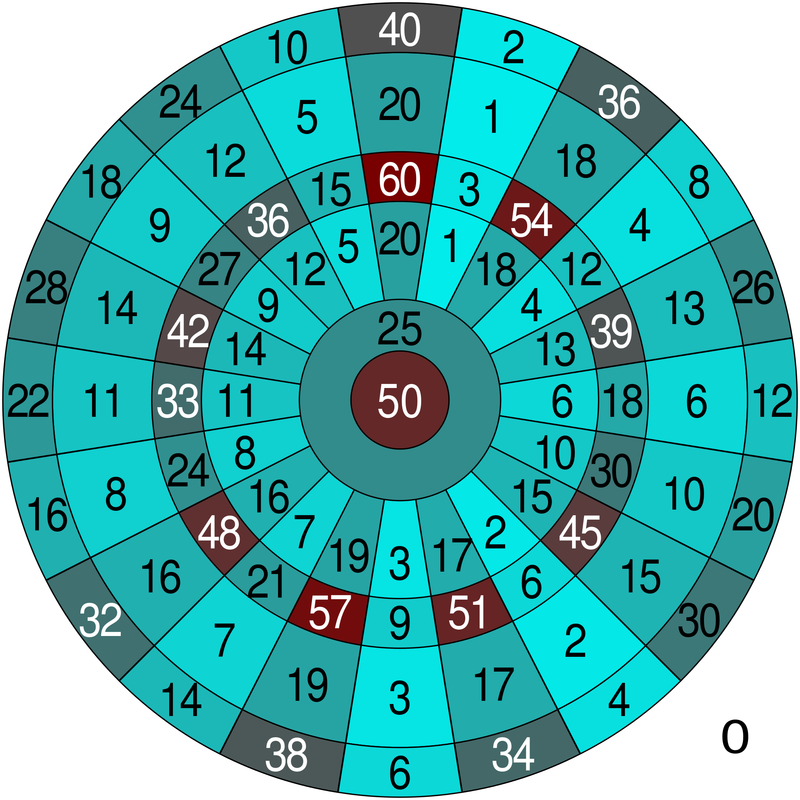 Darts is one of the most popular games in the world. It is placed in many countries both professionally and for fun and remains a staple in pubs and bars. The simple act of throwing a projectiles at a target is similar to archery but on a simpler scale. It is game pretty much anyone can play but like the best games, it’s tough to master. If you have a vague interest in the game or your looking to learn a little about it, then you’ve come to the right place. Similar games were played in the past but the game we know today has it origins in the early 20th century. Pubs would often make boards from wood and cut down crossbow bolts for the darts themselves. The game would grow in popularity and when the idea to use the century plant for the board and to add metal sections, the game really took off. Rules were started to be introduced, how scoring worked was decided and different game variants were thought up. As the game spread, the skill and competition increased and soon tournaments and leagues were established, as were governing bodies and the sport became what it is today. To start playing darts it’s very simple. You can buy a dartboard and a set of darts from many stores, whether sports goods shops or some general retailers. You can spend a varying amount of money, but could get what you need for a small amount. It can be best to buy two sets of darts but one will suffice. Place the board securely on a door or wall in your home and make sure you are aware of others in the building, so they won’t accidentally open any door you are playing on or get in between you and the board. Stand a distance away you feel most comfortable with and you can start playing. You can simply practise by yourself at first, trying to work out the right strength and aim of throws to get more accurate shots with practise. Alone or with friends, you can play the many variants of darts such as Round the Clock, 20 to 1 and Cricket. A score sheet may be necessary, which cans easily be done with any paper or your phone. Specialist dart cabinets aren’t necessary but they can give you an attractive and continent way of storing the board and darts and writing the score. There will be other places you can play, such as local pubs, clubs and leisure centres. You may have to pay a small cost in order to do so. This can be a good way to meet up and play with friends, and talk to other players to learn about the game, get some tips or to find new competition. Darts is one of the most followed sports in the UK and it’s easy to get into the professional game. Many TV channels and websites will let you watch matches, so a quick internet search or look in a TV guide could provide what you need. Top UK sports channels such as Sky Sports, Eurosport and ITV Sports will screen many top games and events. There are magazines and websites dedicated to professional darts where you to learn more, pick up advice and keep up with the latest news. Betting on such games and tournaments is possibility, with the PDC being a prominent organiser. If you’re curious about dart odds or you want to make a bet then you can get the early odds for the upcoming PDC with Coral. 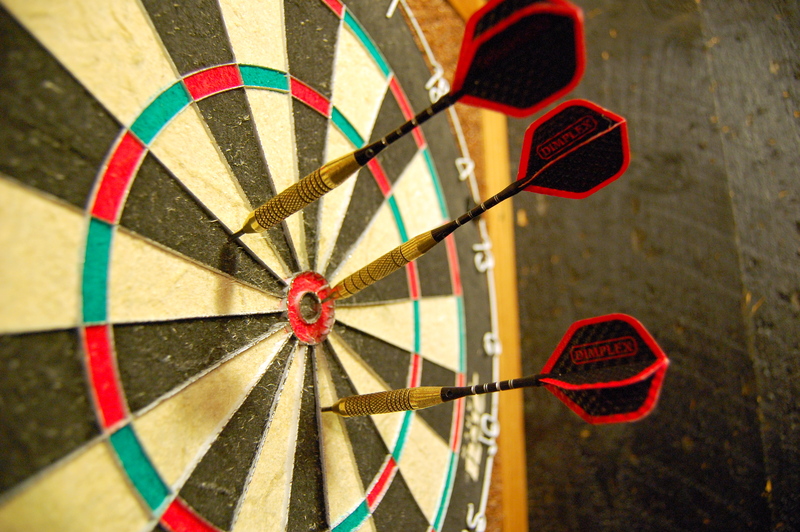 Many pubs will broadcast darts tournaments so it can be a great way to watch an event with other fans. This is your basic guide to getting into darts, so set up a board, check out the news, PDC odds and events, play with friends and see how much fun you can have.